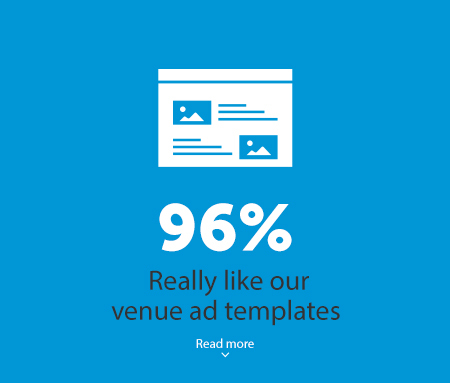 We think making adverts should be easy - our customers have enough on their plates. 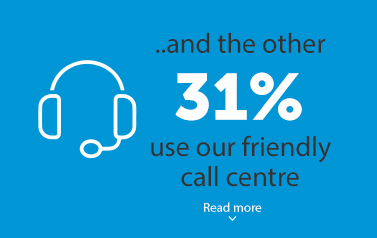 So we've created a format as simple as creating an online greetings card, which 96% of customers agree is fast and easy to use. 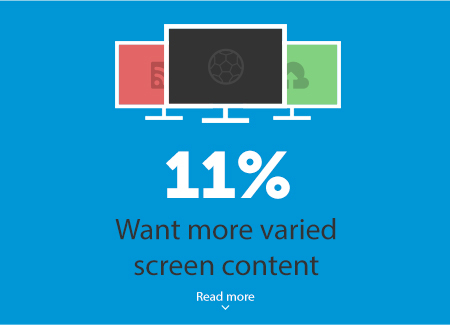 We are committed to displaying the the most engaging content possible on screens. Our partnership with BT Sport enables us to deliver broadcast quality sports content to customer screens and has been a massive hit. Our customers have published a massive 8,200 updates to their screens using the portal since we launched our service. We are now developing even more ways to simplify the updates to screen and expect to see this increase exponentially in a very short period of time. 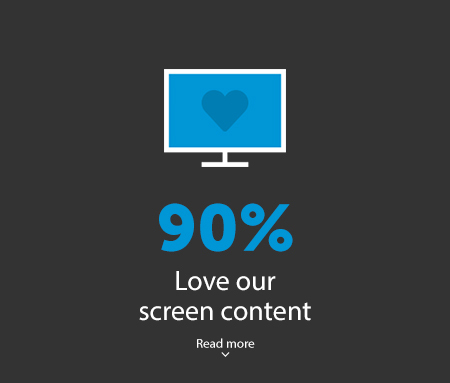 Some of our customers find it easier to let us manage their screen promotions - and we love that! Our dedicated team are on hand to ensure our customers get the maximum benefits from their screens. The response from our customers has been phenomenal. 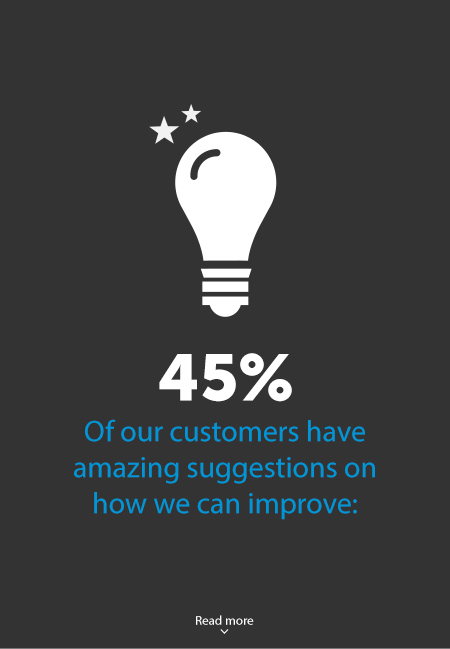 Almost half of respondents shared their thoughts on how we can improve Screach across a range of areas. We are listening to every suggestion and working hard to rapidly improve our product. This was our most requested improvement. We're now making major updates to our user guides, with soon to be introduced interactive portal training, updated video tutorials and improved phone training and support. We're delighted that from December 2015 we launched Screach 2, our shiny new channel. It has over 2.5 hours of content, and is a wide mix of entertainment, sport, news, fashion, movie news, interactive quizzes and more.